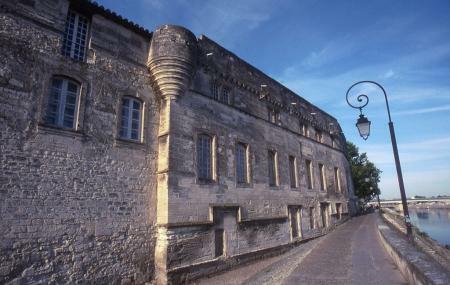 Housed in the former Grand Priory of the Order of Malta, the Musée Réattu is a fascinating art museum of Arles. The splendid museum has a large collection of striking sculptures, breathtakingly beautiful photographs and captivating painting by the famous French painter, Jacques Réattu and Picasso. Great examples of medieval art, contemporary art and sound art. Twelve exhibition rooms that soulfully exhibit about 800 striking artworks. A collection of photographs which is a boggling number of 4000 and each holds a prominence which can’t be stolen. The museum constantly holds exhibitions and the Revoir Reattu is the most recent. For art lovers, this museum is a treasure trove full of surprises and lovely place for appreciation. How popular is Musee Reattu? People normally club together Les Alyscamps and Theatre Antique D'arles while planning their visit to Musee Reattu. A small homely museum tucked in a book and yet features some selectable collections in a lovely rampart. Loved my visit. Well worth a visit, a nice Museum/Gallery with very interesting things to see. Get the combination ticket to see this and the Van Gogh Foundation. Not worth it. Skip and go to the Van Gogh Foundation instead. I did want to buy a postcard but the cashier was in a very loud conversation on the phone. I waited, she saw me but never even acknowledged me. If I hadn’t needed change, I’d left the money. Instead, walked out without buying the card. Lovely paintings, cool on a hot day. Great photos too. A great museum, especially the Picasso collection and the photography part.